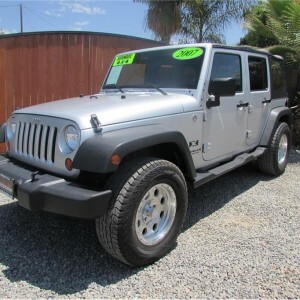 This 2007 Jeep Wrangler Unlimited has super low miles with only 42k miles. It has the V6 motor with an automatic transmission, power windows and power door locks, running boards, and tinted windows. If you are looking for a fun, life altering vehicle to make a huge im .. Here is the holy grail of the Jeep world. 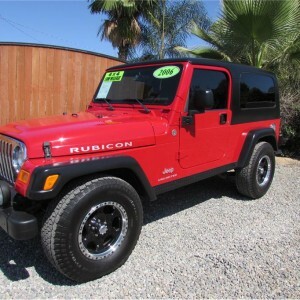 The Coveted long wheel base Unlimited Rubicon with a hard top and its red! This factory suspension rig already has Warn polished front and rear diff covers, all JP Products rear bumper, heavy duty quarter inch plated ..
2014 Jeep Wrangler Unlimited Sport SOLD!!! This 2014 Jeep Wrangler Unlimited has been upgraded by Moab. It has a 8 lift with Bilstein Shocks .. This 2001 Jeep Wrangler Sahara is fully loaded and ready for the trail. 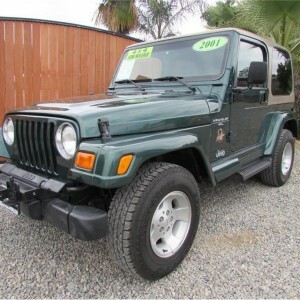 It's a beautiful green 4WD Sahara Sport Utility with incredible tan and green cloth interior with a 5 speed manual transmission and of course the a .. 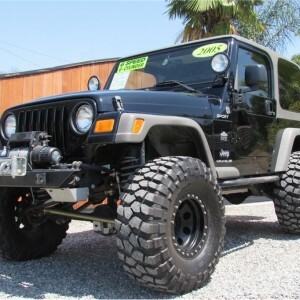 This 2004 Jeep Wrangler TJ has the 4.0L inline 6 cylinder motor with a Pro Comp lift on 33x12.50x 15 Dynapro Tires on chrome American Racing Wheels, aftermarket Power windows and Power door locks, Led interior lights, Smittybillt rear tire carrier, rear quarter .. 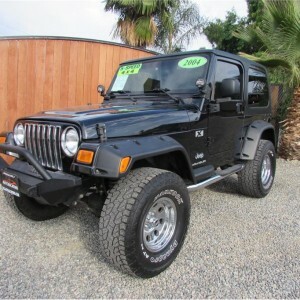 This 2005 TJ Jeep Wrangler 4x4 Sport Edition armed to the teeth with the essentials for off-road life! Lets start with a Inline 6 cylinder 4.0L motor and 6 speed manual transmission that has a thumb throttle for serious crawling. The Front Warn diff cover does what it needs ..
Get a boost in power with the new 3.6L motor. Fitted with all the best factory trimmings, remote start, Navigation, bluetooth, Uconnect, leather, heated seats, AC inverter to run small electronics. Color matched top, color matched fenders. 305 60 18 Nitto Dune Grappler tire .. 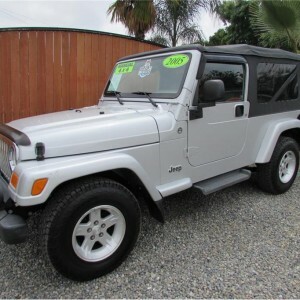 This hard to find 2005 Jeep Wrangler Unlimited has the awesome 4.0L 6 cylinder motor with a manual 6 speed transmission. This baby has almost brand new Hankook DynaPro ATM tires, a two year old Bestop soft top with tinted windows. 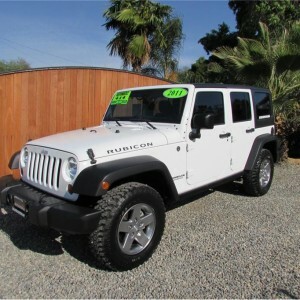 It has cruise control and has not ..
*SOLD***** 2011 Jeep Wrangler Unlimited Rubicon **SOLD!!! 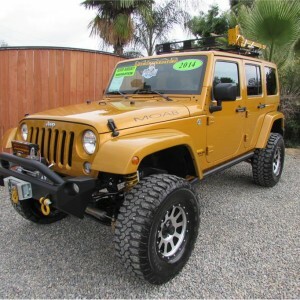 This 2011 Jeep Wrangler Unlimited Rubicon only has 27k original miles on it. 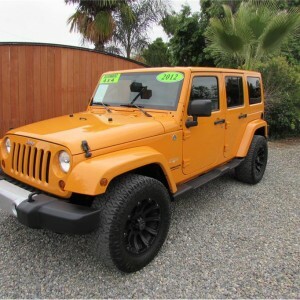 It has the V6 motor with the automatic transmission, electric sway bar, in dash factory touch screen Navigation, steering wheel stereo controls, cruise control, power windows, door lock .. 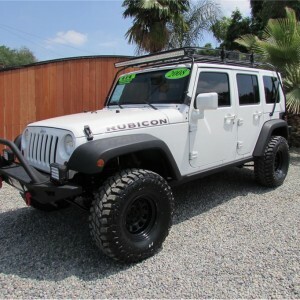 This 2008 Jeep Wrangler Unlimited Rubicon is one good looking, hard working, off road toy! It has the V6 motor with the automatic transmission, lockers, and 4:10 gears. This one has the color matched top, handles, and mirrors along with a roof rack that has optional spare t ..